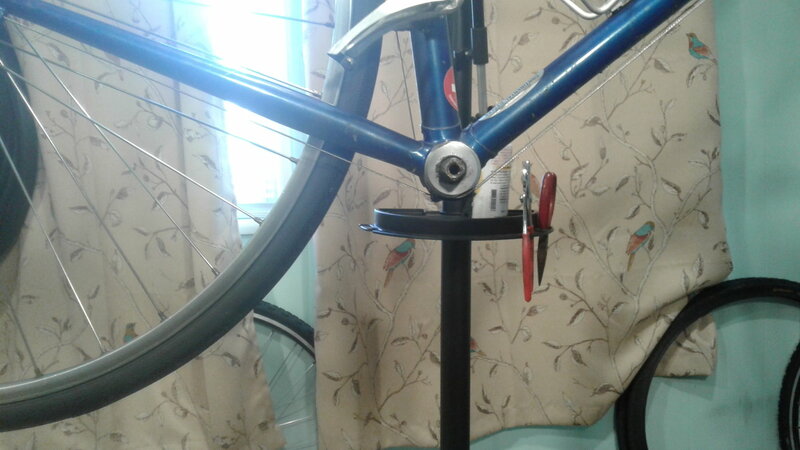 [SPOILER] I do not know what tools I need for pulling the bottom bracket. 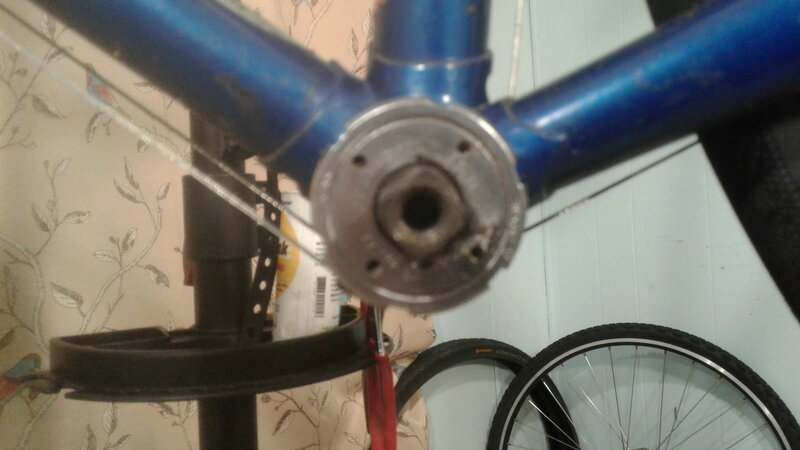 NDS lock ring has 6 nothches, stamped 36 X 24, and the inner plate has 4 holes, for spanner? Stamped on it is 36 X 24 and VIA- LL. Thanks for the help to all. Well you can choose A) go to a bike shop , have them do it.. .. advantage if you will not use that one again ..
adopting new cartridge types , use a different tool ..
Or B ) buy the old school tools that were common when that was the BB type in common use..
NDS = pin wrench and wrench to loosen locknut (can also be a small brass drift. DS = special wrench which i have never used. I set up workbench vise and carefully set flats on cup in vise and carefully rotate frame in the correct direction. To clean and regrease BB, no need to undo DS cup if cups are fine. Clean up old grease, i'd use new balls (1/4") and put back together, use NDS cup to adjust and lock nut to well lock it in position. Your BB seems Italian, if Italian both are right hand threaded. 1.37" turn to the right to loosen , left to tighten , left hand thread.. British/ international. I linked the tool (Park hcw-5) in your other thread, which I cannot now find. Was it deleted? You may not need a pin spanner, though. It's nice to have, but you can probably disassemble/reassemble without it. If you do get it, it's the one with the green Park handle. Last edited by SurferRosa; 02-04-19 at 05:14 PM. Thanks for your help. The OP was deleted because it seemed to me that this post had duplicated it. I did get the info for the HCW-5. I already have a pin spanner , Park Tool SPA-2. that has a red handle. 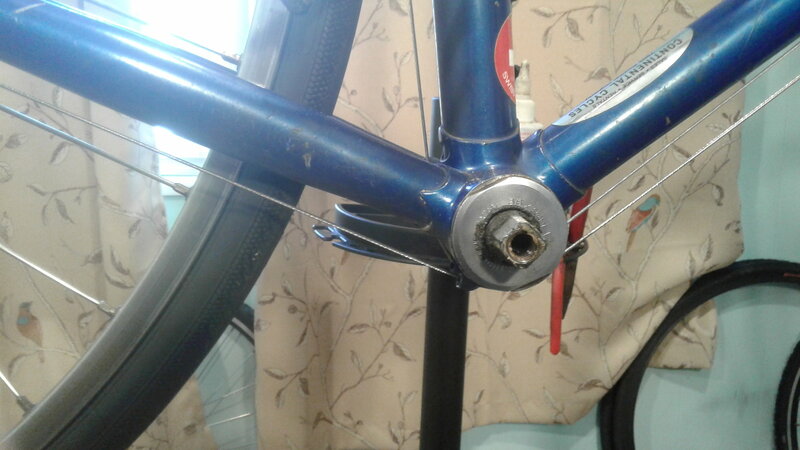 I had purchased it for the lockring on the freewheel that I replaced. Another thank you to fietsbob! BIKE FORUMS ROCKS! !